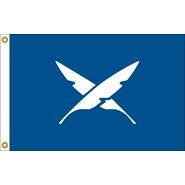 The Officer flags cover a wide range of positions. If you don't see what your looking for we can make it for you. 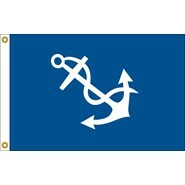 This U.S. Yacht Ensigns Flag is made of nylon. It is finished with white canvas heading and brass grommets. NOTE: This item will ship 7-10 days from the date of purchase. This Race Committee Flag is made of nylon. It is finished with white canvas heading and brass grommets. This Commodore Officers Flag is made of nylon and measures 12 x 18 inches. It is finished with white canvas heading and brass grommets. 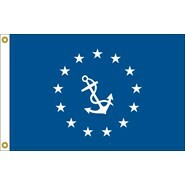 This Vice-Commodore Officers Flag is made of nylon and measures 12 x 18 inches. It is finished with white canvas heading and brass grommets. 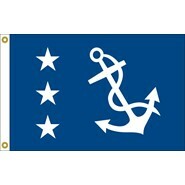 This Rear Commodore Officers Flag is made of nylon and measures 12 x 18 inches. It is finished with white canvas heading and brass grommets. 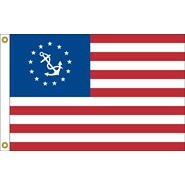 This Past Commodore Officers Flag is made of nylon and measures 12 x 18 inches. It is finished with white canvas heading and brass grommets. 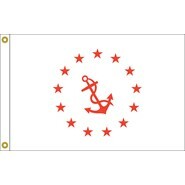 This Fleet Captain Officers Flag is made of nylon and measures 12 x 18 inches. It is finished with white canvas heading and brass grommets. 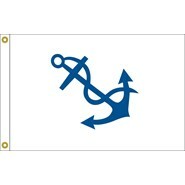 This Port Captain Officers Flag is made of nylon and measures 12 x 18 inches. It is finished with white canvas heading and brass grommets. 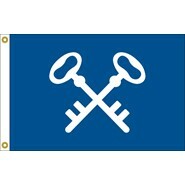 This Treasurer Officers Flag is made of nylon and measures 12 x 18 inches. It is finished with white canvas heading and brass grommets. This Secretary Officers Flag is made of nylon and measures 12 x 18 inches. It is finished with white canvas heading and brass grommets. 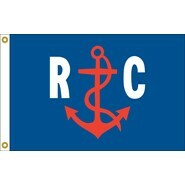 This Financial Secretary Officers Flag is made of nylon and measures 12 x 18 inches. It is finished with white canvas heading and brass grommets. 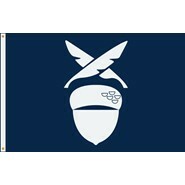 This Quartermaster Officers Flag is made of nylon and measures 12 x 18 inches. It is finished with white canvas heading and brass grommets. 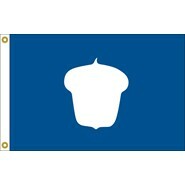 This Measurer Officers Flag is made of nylon and measures 12 x 18 inches. It is finished with white canvas heading and brass grommets. 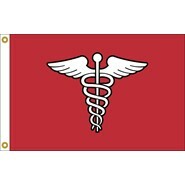 This Surgeon Flag is made of nylon and measures 12 x 18 inches. It is finished with white canvas heading and brass grommets. 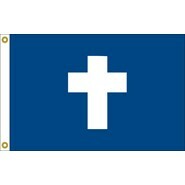 This Chaplain Flag is made of nylon and measures 12 x 18 inches. It is finished with white canvas heading and brass grommets.